Home » Comics » Wired Up Wrong Review: Best Book of the Year? Wired Up Wrong by Rachael Smith might just be my book of the year, perhaps for the wrong reasons (I’m laughing at someone’s depression!) — but since when have reasons been important? There’s a warning at the start of this book, so I’ll put a warning here: I liked this book so much, and I found it hard to work out how much of that was because of, or in spite of, my own problems. Second warning: Wired Up Wrong is a book about depression, not boxing a dog. I know a small percentage of our world loves to ingest their comics with a literal mind (things must happen! ), and those folk need to know that the promised dog fight from the cover never happens… so, y’know, quell that disappointment now. //I usually ask “Oh yeah? Like what?” Because I’m a prick. 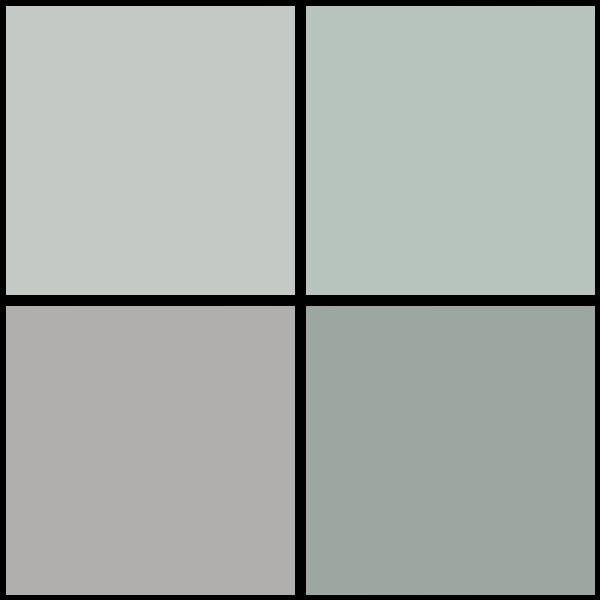 I’m trying to find a way to talk about Smith’s art, and I can’t because of my stupid brain. I’ll let you look at the preview pages dotted throughout, as they kind of speak for themselves. 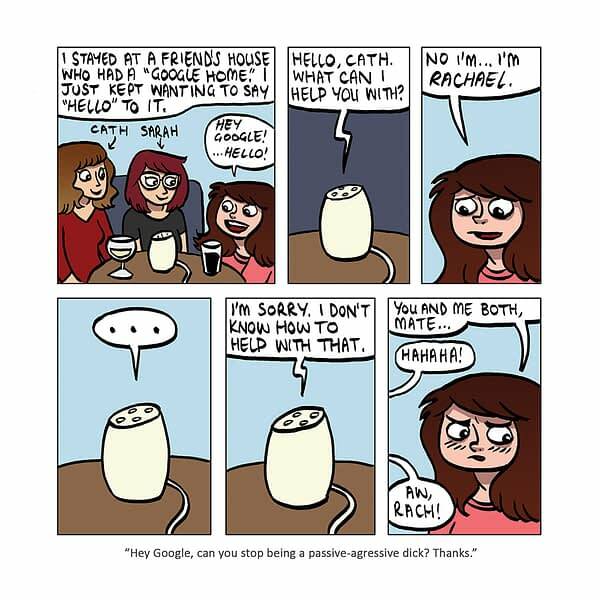 Despite Rachael’s meta-textual commentary on any ability in this area, the facial expressions on display nail pretty much exactly what’s required in every panel. Here’s Rachael displaying the perfect balance of both anger and sadness at a joke made (on purpose) with friends. One thing that you might be expecting from a freshly released graphic novel that isn’t here is an overall narrative structure. This isn’t a bad thing, by the way — this volume is more akin to a newspaper strip collection as it is. Though Smith will obviously kill it when that big one comes knocking (witness samples of Rachael’s Squirrel Girl and Doctor Who on rachaelsmith.org). 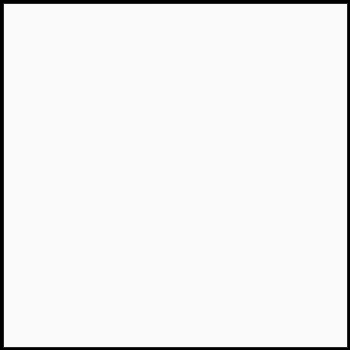 There’s a strong vein of cartoonists running through mainstream comics now, and poaching from small press is a tried and tested method of ensuring quality periodicals. I suppose this is as good a place to guiltily admit that I’ve not yet read Artificial Flowers (Rachael’s book out on Avery Press), which would probably go a long way to confirming my evaluations on this subject. 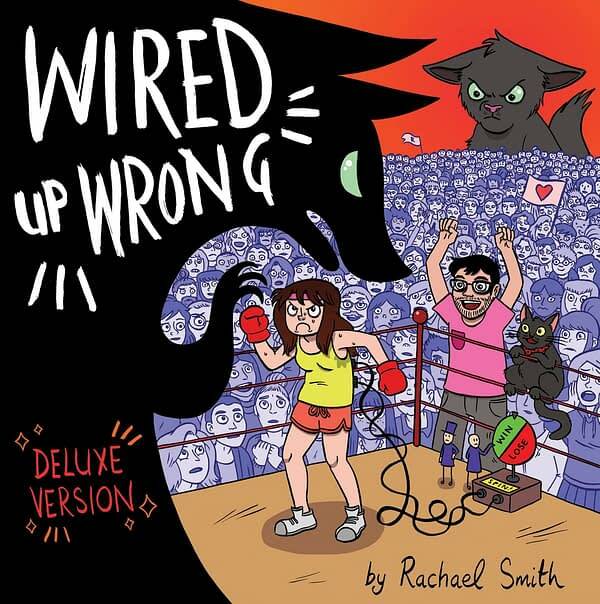 Rachael’s only deviation in Wired Up Wrong is a 10-page harassment story. This isn’t a jarring part of the book, though, nor does it seem as some kind of meaningful entry as a link to the depression — although I’m sure it hasn’t helped. No, it fits because Rachael is baring all in this book (while it’s one aspect of a complex human), and to address this doesn’t feel out of place in that aesthetic. Actually, if I were to really detach myself from emotion for a second, it weirdly provides a break away from the chief subject matter — not exactly a pleasant one, obviously. However, having a 10-page story does break the structure of the rest of the book, and that’s good in general just for attention spans, etc., intended or not. More than all of this, it’s something to consider that the author has written a book full of comics relentlessly pulling apart their mental condition, yet it took a worldwide movement for them to feel OK about publishing a story about harassment. It’s probably worth noting that other reviews may have touched more seriously on the subject of depression itself; however, I don’t really think that’s my place. 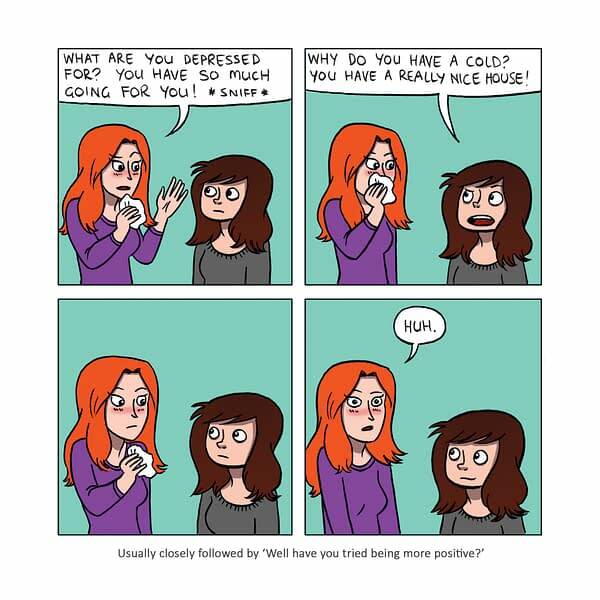 I will say that seeing works like this out there showing that sufferers of depression can laugh at it, should fill anyone with joy, at least for a moment. Wired Up Wrong is the first book this year that I can easily chalk up as a great of the year and easily deserving of the high marks I’m awarding. This would rest easy in any collection; hell, this could easily be handed to a non-comics person and they’ll love you just a bit more. This book is a stone-cold classic of the year. Make sure you have it. You can order Wired Up Wrong via Etsy right here. Klaus and the Crisis in Xmasville #1 Review: A Delightfully Sweet Christmas Tale... with Aliens!